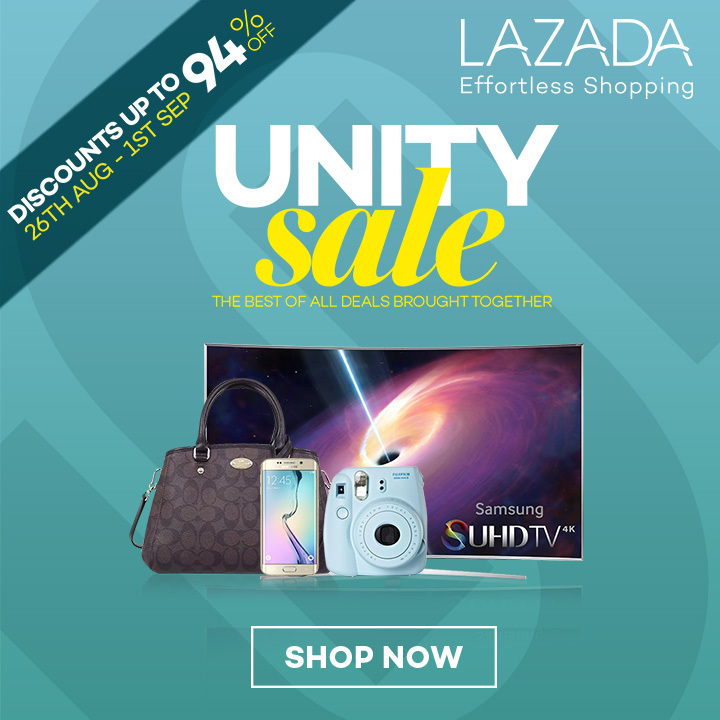 Lazada Malaysia has started its promo day called Unity Sale: Discounts up to 94%. 28th August to 1st September. No worries for GST and low Ringgit. It"s 94% Discounts site wide.